As I said before… Loading the truck at the Home Depot was a cinch, thanks to the forklift guy. 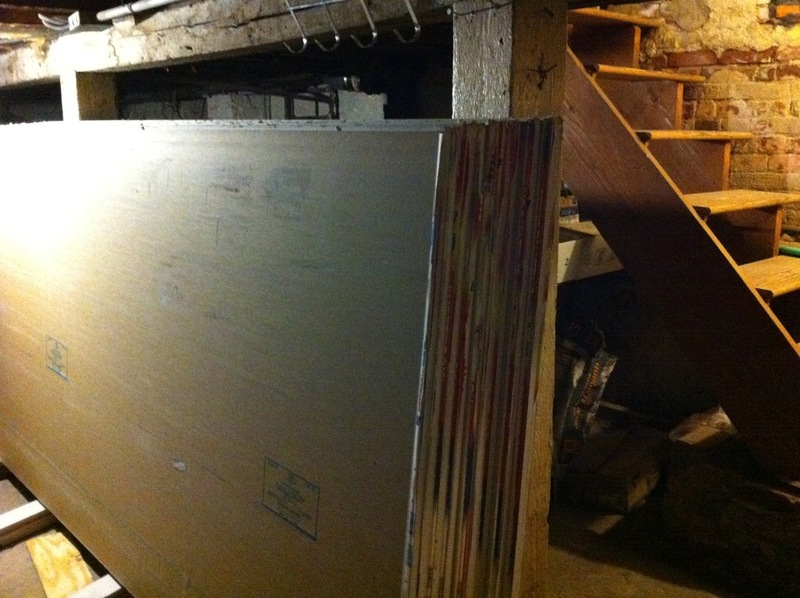 Unloading the truck and snaking the 4×8 sheets down the cramped basement stairs into the 5’4″ basement was a complete pain in the neck… Literally! We still have 4 sheets to come down but those can wait till tomorrow. Special thanks to Kostya who was gold on this!